Based on true stories, The Class exposes the dramatic, the comedic and tragic lives of actors, the ones that make it big and the ones that never light up the Hollywood screen. 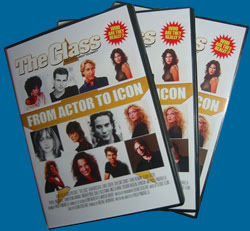 Paula Panzarella conceived, wrote and directed The Class after witnessing many of her acting classmates rise to stardom. Ms. Panzarella cut no corners in recreating the likeness and character of each star as they seek to learn their craft and find success on the big screen. It was the end of the 80’s and some very big names all happened to be in one place at the same time, in The Class. Available Soon on DVD. Watch the Trailer Now.